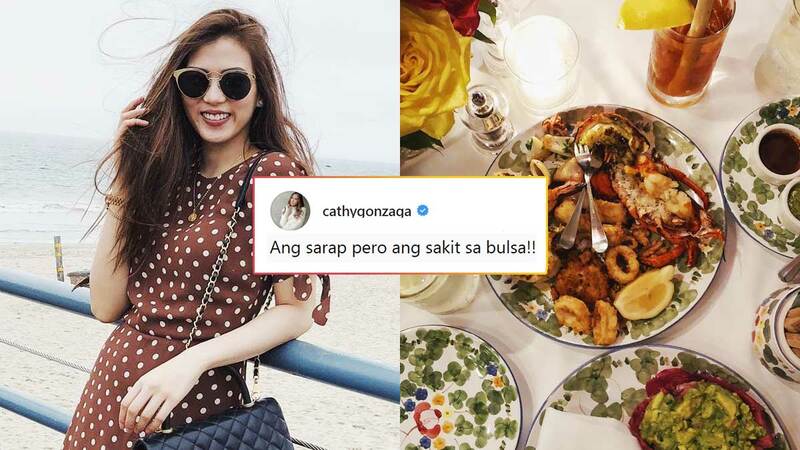 Alex Gonzaga is currently on vacay in California, USA and is joined by her friends and BF Mikee Morada. She recently posted travel pics from her trip and her captions are hilarious AF! When she called Sta. Monica Pier "Purok 3." When she and Mikee channeled the key characters of the early 2000s teen drama series, The O.C. Alex went dibs on her new favorite clothing boutique. Honestly, this caption is applicable to all of our food posts. She took an obligatory crossroad post, of course. Lastly, Alex made us feel that she misses home very much! LOL! Pia Wurtzbach revealed that she turned down the offer to be part of Big Brother USA. She explained the reason behind her decision in the blogcon of her movie with Gerald Anderson, My Perfect You. KC Concepcion shared a sneak peek of her upcoming limited edition jewelry line, Avec Moi. Most of her designs are inspired by roses. We're eyeing to get ahold of the rose gold ring here! PSA: Michael B. Jordan is back at the gym to train for his reprising role in the boxing flick Creed 2. Mark your calendar and set your alarm because McDonald's is giving away free Longgadesal on National Breakfast Day, March 19 from 7:00 a.m. to 8:00 a.m!